Homes at Work Community exists to provide assistance and opportunity to men, women, families, veterans, and seniors in need. Our mission is to enrich, educate, and empower families to obtain affordable housing, successful careers, healthy lifestyles, and well-balanced relationships. Homes at Work Community goal is for all of our participants to be successful members of society. 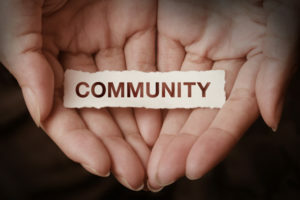 We provide support though building partnerships with local service providers to ensure that program participants are linked to supportive services promoting healthy and inclusive communities.